Pekin, Ill. - The saying goes 'the quickest way to spread Christmas cheer is singing loud for all to hear' and for the local Salvation Army out of Pekin, its way is kicking off its 2018 Christmas Campaign. Salvation Army leaders announced the goal amount for donations and this year, their goal is to raise $230,000 dollars. 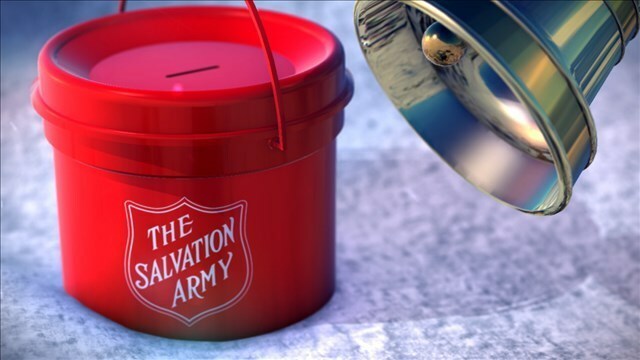 "Certainly if they have a coin or two, they can drop it in and actually we know that a lot of folks don't carry cash anymore so we have a 'text to give' option so most of the bell ringers will have a little card they can give you that has information," says Rich Draeger, Tri County Development Director for Salvation Army. So far, they've raised nearly $13,000 and with the holiday's gearing up in just a few days, you should expect to see bell ringers out very soon. "We're grateful for all the support we get," said Draeger. "There are people who come to us in need throughout the year and while we have a big emphasis this time of year with the kettles and everything, the money that they're donating now will help people in the middle of summer as well." The campaign runs through the end of January. All funds raised helps programs and services in Pekin. To volunteer or donate, CLICK HERE.